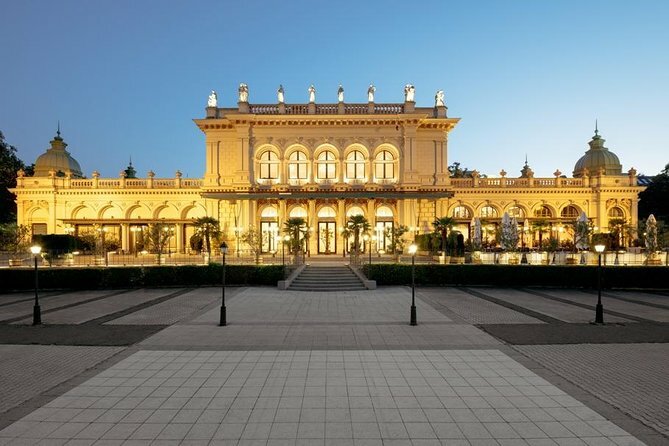 Enjoy a gourmet dinner and classical Viennese concert at the Kursalon Vienna with this dinner and performance combo. Savor a 4-course meal of fine Austrian cuisine before sitting down to a 2-hour concert of classical masterpieces by Strauss and Mozart, plus many other wonderful pieces from Vienna's rich musical history. Along with waltzes and piano concertos, relish the accompaniment of stunning opera singers and ballet dancers. It was here that the waltz was popularized in the 19th century thanks to Viennese composer Johann Strauss. Performing dances and concerts regularly, the venue soon became a popular meeting place for Viennese society to enjoy music and savor the joie de vivre. Still preserving its historical roots, the Kursalon now has a modern flair, with four spectacular ballrooms on two floors and a spacious terrace with views over Stadtpark. After dinner, you’ll be escorted to your seat in Lanner Hall for the Salonorchester Alt Wien concert, one of today’s best-known interpreters of classical Viennese music. Savor the lilting sound of waltzes, polkas, arias and duets, as well as operetta and piano concerto melodies accompanied by opera vocalists and ballet soloists. Revel in the performances of Strauss’ ‘Voices of Spring,’ ‘Roses from the South, ‘The Sigh Galop,’ ‘A Little Night Music’ and ‘On the Beautiful Blue Danube,' and Mozart’s ‘Rondo alla Turca’ and the overture to the opera Le Nozze di Figaro. Be enchanted by Strauss' 'My Lord Marquis' from The Bat operetta and 'Entree Zsupan' from The Gypsy Baron operetta, as well as Johann Schrammel’s ‘Vienna remains Vienna' and many more pieces from Viennese musicians throughout the centuries. If you've booked the first two rows with your VIP ticket, enjoy a glass of sparkling wine during the interval, and take home a Johann Strauss CD with your Kursalon Orchestra program. Dinner takes place at the Restaurant Johann inside Kursalon Vienna starting at 18:00h. Smart evening attire is advised. No sneakers, jeans or shorts are permitted in the concert halls. In case of private functions held in the Kursalon restaurant, dinner will be served in the Restaurant opposite the venue.